Dear Kpopeurope fans, a lot of people are celebrating Christmas all over the world – today and tomorrow. This special day also deserves a very special music. Therefore we have chosen a combination of traditional songs performed by a singer with a nice voice. I am talking about Lee Se-jin, also known as Lyn (린). She is singing several classic Christmas carols in one “a cappella” performance. Wish you all a merry Christmas! There is one day left for Christmas! Today, I ve decided to post a really pretty & holy song. It is O’Holy Night performed by 소녀시대(Girls’ Generation)’s Taeyeon. Again the song comes with subtitles/lyrics so that you can sing along. Enjoy the wonderful voice of Taeyon. Today I have chosen a very traditional song: It is “Silent Night”, composed in 1818 by Franz Xaver Gruber to the lyrics of Joseph Mohr. The song was first performed on Christmas Eve 1818 at Saint Nicholas parish church in Oberndorf, near the city of Salzburg/Austria. This “a capella” Korean version is performed by DBSK. Today’s music actually isn’t a Christmas song but a nice ballad in a winter version setting. It is T-ara’s “Hide & Seek”. The song is an unreleased track that is part of T-ara’s 8th repackaged album, ‘Again 1977’, that the girls and their agency had originally planned to reveal at the end of this month. Hope you are enjoying it. After getting some response for J Rabbit and their nice song last time, we again want to publish a music video by the nice and cute duet. This video shows their combo-performance of “White Christmas & Rockin’ around the Christmas tree”. The first song, “White Christmas”, is an Irving Berlin song reminiscing about an old-fashioned Christmas setting. It is the most-recorded Christmas song. The The latter was written by Johnny Marks and recorded by Brenda Lee in 1958. J Rabbit have recorded several songs for Christmas, so just follow the given link and listen to their wonderful music. Maybe you remember that we have already posted “All I want for Christmas” on the 7th of December. 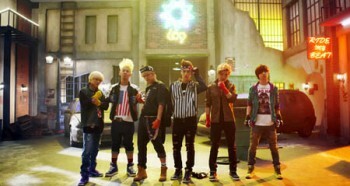 Back then it was performed by Teen Top. Today we publish the version by 소녀시대(Girls’ Generation)’s Seohyun, Miss A’s Suzy & Sistar’s Hyorin. Which one is your favourite? Going back in time a little bit, we find one of the most known, most played and most famous Christmas carols ever. Today I am talking about “Last Christmas”, a song by the British pop duo Wham!, released on Epic Records in 1984. Today it is presented by Tiffany (South Korean singer) and Sung Si-Kyung. Very sound. Enjoy singing along with the subtitles! We have reached the half of our songs calendar. Only 12 more days to Christmas, yeah 🙂 Get ready for WONDER GIRLS today. They are known for their hip and catchy sounds. Their Christmas song “Best Christmas Ever” comes with the English and Spanish lyrics as well and gives you another chance to join their singing. Let’s get back to some classical Christmas songs by today and present “Winter Wonderland”. The nice piece was written in 1934 by Felix Bernard (music) and Richard B. Smith (lyricist). It is said to has been recorded by over 150 artists over the time. This nice version is sung by Kai. Going on with less known Christmas songs over here, brings us to the performance of IU at MBC. She is singing “Merry Christmas in Advance”. This nice song comes with the Korean lyrics. So everyone who knows how to read Korean, have fun. To the others- enjoy listening to 아이유(iu) s wonderful voice. “Let It Snow! Let It Snow! Let It Snow!”, also known as “Let It Snow”, is a song written by Sammy Cahn and composer Jule Styne in July 1945. It was written in Hollywood, California during one of the hottest days on record (Source: Wikipedia). Two of the best K-pop voices are singing today’s favorite: “Santa Claus is coming to town” that was first published in 1934 had many versions. Click and enjoy the nice song. 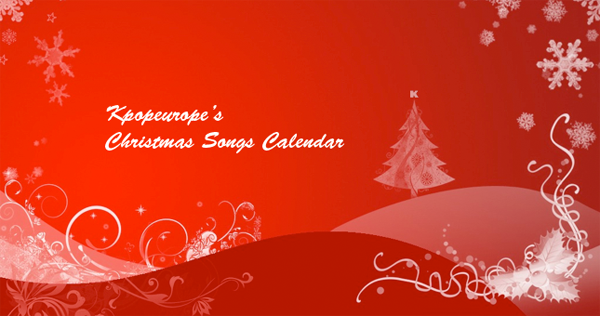 Here is the next entry of our Christmas Songs Calendar. This song got famous when it was sung by Mariah Carey in 1994. So there is quite some history for that nice tune. Enjoy the more recent version by Seohyun (SNSD), Hyorin (Sistar) and Suzy (Miss A) singing their version of “All I want for Christmas”. Today we start with an old SMTOWN song: Jingle Bell (1999). Enjoy. prev [en][de][hu][fr][ro] European K-pop survey: Fans helping fans! [en] Kpopeurope Wishes You a Merry Christmas!